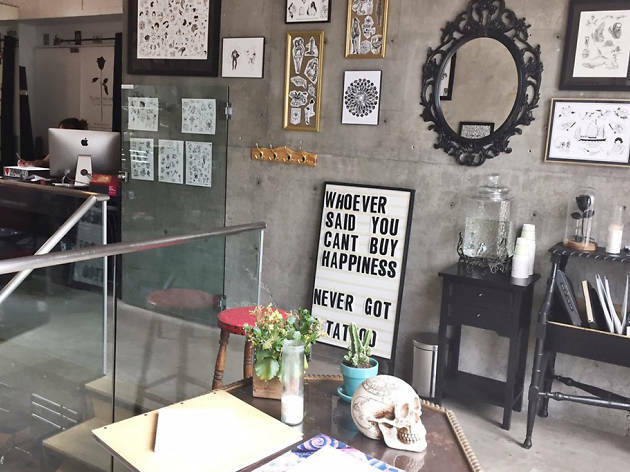 If you’re a fan of geometric and line-work tattoos, look no further than this new shop, which opened in October 2016: You’ll recognize it when you see the rose on the front window (which is eerily reminiscent of the one pictured on Depeche Mode’s Violator). 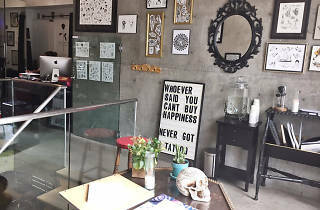 Even though it’s a newcomer in town, it has a worn-in, comfortable vibe thanks to weathered brown walls, black and red leather couches and chairs, and a beautifully arranged selection of artwork. It specializes in traditional, contemporary and watercolor styles, and the artists worked internationally (everywhere from France to Russia to Istanbul to Colombia) before settling in NYC. Minimum price: $100; non-refundable deposit required.